I’m going to break things down by positions, starting with the catchers. Jason Castro is, undoubtedly, the Astros’ starting catcher in 2013 and beyond. The former first-round pick had a decent enough year, but yet again struggled with injury. Chris Snyder’s option was declined, making him a free agent. 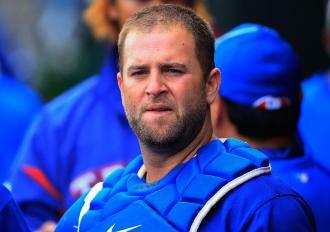 Snyder hit just 176/295/308 over 76 games behind the dish, so letting him go wasn’t a difficult decision. But the question now becomes: Who is going to back up Castro? Ordinarily, a backup catcher is someone who plays a good defense and who can handle a pitching staff, when called on to do so. It’s not a position where major league teams put a ton of money. In the Astros’ case, however, there is a very real chance that their backup catcher will need to fill in for Castro for an extended period at some point, given his history of injuries. Replacing Snyder’s -0.2 fWAR isn’t a problem. Carlos Corporan could handle that duty by himself, having provided 0.5 fWAR in just 27 games at the big league level. Another option already in the system is Landon Powell, who has big league experience, and who hit a respectable 251/353/377 in Oklahoma City this year. Carlos Perez (part of the 10-player deal), M.P. Cokinos, and Tyler Heineman are all interesting, but at least a year away in all cases. So if Corporan and/or Powell can’t be “the guy,” the Astros and GM Jeff Luhnow will need to look to trades or free agency. Trading pieces away to get a backup catcher – even one who can be called upon to start in an emergency – probably isn’t an option, so a free agent signing seems likely. Guys like Russell Martin and A.J. Pierzynski – or even, probably, Dioner Navarro – are going to demand the starting position over Castro, so it’s unlikely Luhnow will go that direction. That leaves, basically, two options: Mike Napoli, and everyone else. The reason Mike Napoli stands alone in this group is because he is a slugger. And because, well, he isn’t a very good catcher. Why might that be a good thing, you ask? Well, the Astros are moving into the American League, and have an immediate need for a Designated Hitter. By signing Napoli, they can kill two birds with one stone: A middle-of-the-lineup slugger at DH, and a backup catcher in case Castro goes down to injury. In a “down” year, Napoli still managed 2 fWAR, better than Castro and Corporan combined (despite being unlucky with BABIP). He popped 24 home runs, thanks in part to a 0.97 GB/FB ratio (though he’s progressively hit more ground balls with each passing season), which will play well in Minute Maid Park. Add to that the fact that he’s played his entire career in the AL West with the Angels and the Rangers, so he knows the rest of the division. Add it all together and it seems like a winner. My prediction for 2013’s catching duo is Castro and Napoli. 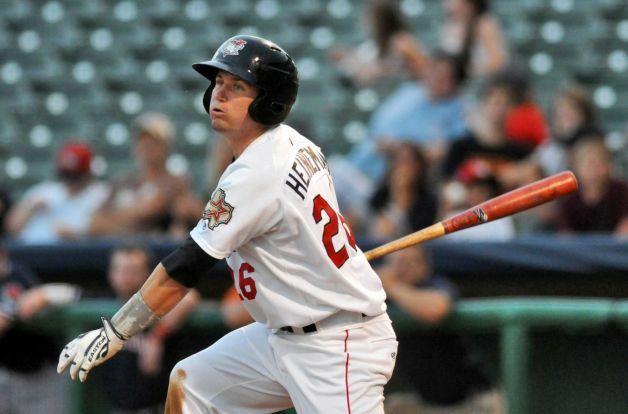 One prospect to keep an eye on, mentioned above, is Tyler Heineman. Heineman’s a switch-hitting catcher from Los Angeles Windward High School, who walked on at UCLA, and was named All-Pac 12. The Astros took him in the 8th round and he finished the season as the leading hitter in the New York-Penn League with a .358 average. Considering he’s actually a defense-first catcher, this is very intriguing. I imagine he’ll start the season in Lancaster, and will probably show his face in Corpus Christi at some point in 2013. Keep an eye on him. The Astros aren’t likely to be Napoli’s only suitor. Even after signing David Ross to complement Ryan Lavarnway behind the dish, and with Jarrod Saltalamacchia hanging around their roster, the Red Sox are rumored to be in on Napoli. Now, aside from the obvious truth that rumors are rumors and not fact, even if the Red Sox aren’t interested, other teams will be. Some may even be more attractive to Napoli than staying in the AL West as primarily a Designated Hitter. So what do the Astros do then? Well, if it’s a team like the Red Sox, it’s possible a trade could be worked out for Saltalamacchia, but that could complicate things with Castro. Though Salty could DH and play some first base, he’s young enough and has enough value that I find it unlikely he’d want to hassle with the situation in Houston. The current crop of free agents includes Rod Barajas, Henry Blanco, Gerald Laird, Miguel Olivo, Ronny Paulino, Humberto Quintero, Brian Schneider, Kelly Shoppach, Matt Treanor, and Yorvit Torrealba.